Their seaman skills were also evident in warfare. Mi’kmaq warriors, during their 130 year war with the British, often seized British ships, something in the neighborhood of 85 boats over the period of time mentioned. 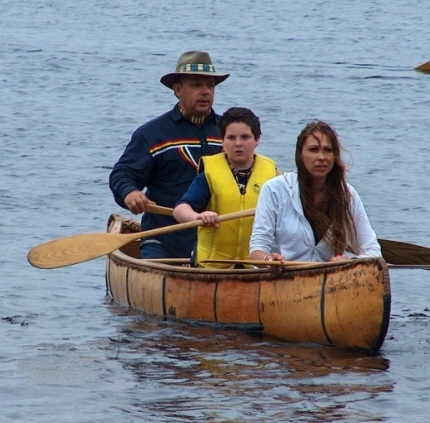 As well as rivers and lakes, the Mi’kmaq were at home on the Ocean. They often travelled far distances over the waters of the North Atlantic. Trips to the Island of Newfoundland were common, and who knows, they may have went beyond the Island from time to time and on a few occasions “discovered” Europe. HEBBS CROSS — With toughened hands, Todd Labrador threads a stripped, wet piece of root from a spruce tree through a hole in the top edge of the birchbark and pulls it out the other side. 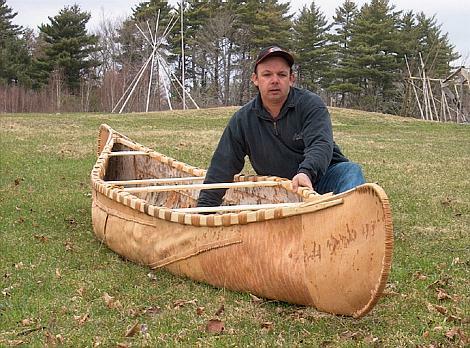 It takes effort to yank the entire length of tree root through the hole, and then he lifts it back over the lip of the canoe and threads it back through the birchbark again from the outside. "It’s hard work, it is," Mr. Labrador said. His daughter Melissa usually does most of the sewing. She develops calluses as she threads over 15 metres of root over the course of a couple of days. 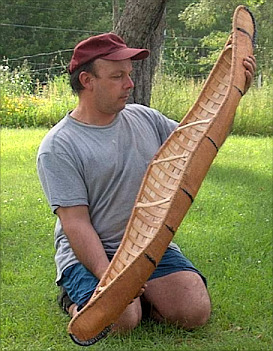 Mr. Labrador is Mi’kmaq and learned the ancient art of making birchbark canoes from his father, Charlie Labrador, who learned from his grandfather, Joe Jermey. His great-grandfather died in 1961, a year after Todd Labrador was born, "but I always heard stories about him from my father," he said. "I became fascinated by it quite young." 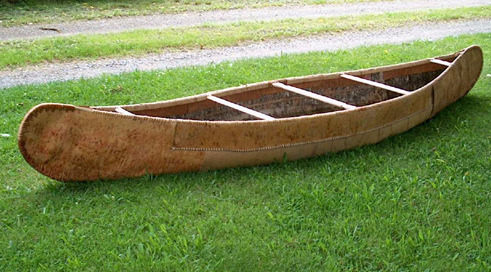 His dad showed him how to collect birchbark, dig up tree roots and bend wood, but Charlie Labrador had never made a canoe. Todd Labrador’s desire to do that took him to Halifax in his early 20s where he got his first lessons from, of all people, a German man living there. "He was fascinated by the First Nations culture," Mr. Labrador said, and he set him on his path. "I made a lot of mistakes," Mr. Labrador grins, but he was an enthusiastic student. He began by making models that ranged from one to two metres and as he did so, he continued to learn from books, his father and by asking elders for their advice. Today, he has three canoes in a large workshop behind his white and red pine log home, which sits on the edge of Minamkeak Lake in Hebbs Cross, just west of Bridgewater. Inside the shop, the gentle smells of pine, spruce and ash warm the senses. As he works, Mr. Labrador can watch the wind toss the grey lake water. The ice is gone now, and he’s looking forward to taking one of these canoes down to the water’s edge. Students from native and non-native schools come here to see the two canoes he made for his family, watch him work on the five-metre canoe that will be ready for launch this June, and learn about the Acadia First Nation. On the wall over the expansive window hangs a worn birchbark canoe, its old green paint scuffed away in parts. It was made about 100 years ago and given to him by a friend who knows of his passion. "For me, it is a wealth of information. I study it. I look at it." It takes him back in time; imbues him with patience and respect. "If you work with things, they teach you, if you allow them to, and if you go about it in a respectful way. If you’re trying to force a piece of birchbark or a piece of wood, it will break on you. If you think about it, work with the material and respect the material, it is amazing what you can do with it." 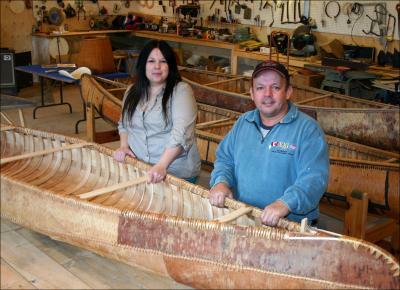 The two finished canoes are works of beauty. Their bark is bleached by the summer sun; they are concrete images of a culture that honours nature. 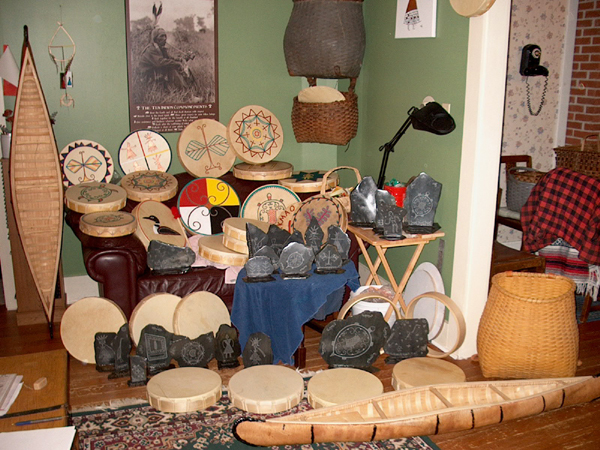 His craft extends to etching petroglyphic-like pictures onto slate and making drums from deer and moose hides that are stretched over spruce frames, and then painted with designs important to native culture. 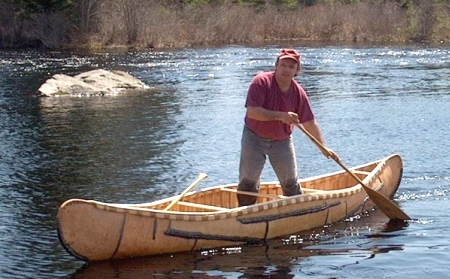 He has made seven full-sized canoes that are in such places as the Bear River Cultural Centre in Queens County, Glooscap Heritage Centre in Millbrook and a little museum in Les Ormes, south of Paris, France. "I’d like to have a bunch of canoes that I can take out, show to people, get people in them and using them and learning about native culture. It’s important to me that they know and that I involve as many people as I can, especially the youth." He hopes to take them to the International Canoe Federation’s world championships at Lake Banook this August. 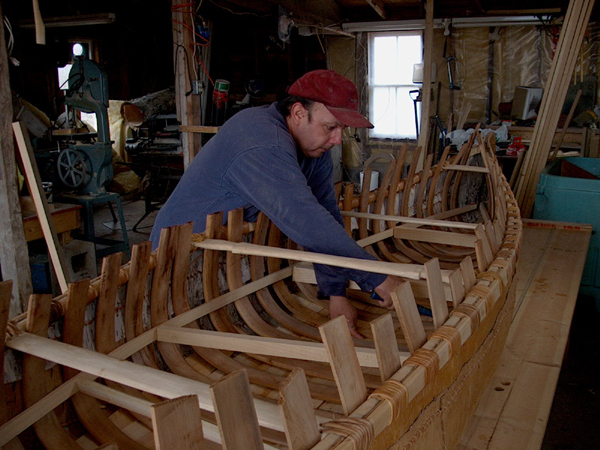 But his immediate goal is to make an ocean-going birchbark canoe. It will be bigger — about 6.5 metres — and have a raised hump in the middle. "It’s something in me I have to do." The following are more demonstrations of Todd's art output. Contact infromation for him can be found at the bottom of the page. "The End product will be displayed at the Bear River Mi'kmaq First Nation Community's Cultural Centre beginning May 2004"
"Other Arts and Crafts produced by Todd"